The Lavinia Group is aware that the world of communication is undergoing rapid change and that companies need to be ready if they want to avoid becoming overwhelmed. Vidneo is the response to this challenge, a business project focused on advanced audiovisual and digital technology, capable of managing increasingly more complex and sophisticated solutions in order to make communication easier. Vidneo is a new technology company that integrates the two already inseparable realms of broadcasting and digital. It offers complete solutions for audiovisual ecosystems, together with the very best technical support. Knowing that audiovisual technology is increasingly more about software and the cloud and much less about hardware, Vidneo provides all kinds of hybrid and digital engineering projects, covering the full spectrum from conceptualization and consultancy to implementation. Vidneo reinterprets the value chain of the audiovisual sector. Its services include everything from sourcing to distribution, through treatment and management. These solutions are materialised in the form of the latest innovations in transport and distribution, to all types of screens, development of virtual sets, state-of-the-art post-production, live broadcasts, remote production, mobile units, master control rooms and continuity, while also focusing on the new potential of digital platforms, apps, virtual assistants and 5G. Vidneo aims to make it easy for the user to work with increasingly more complex and interactive technologies. One of its priorities is to develop projects related to new technological methods, such as virtual assistants, artificial intelligence, different immersive environments like virtual reality, augmented reality, holography and mapping, cloud and IP transmission systems, live formats and online video platforms. 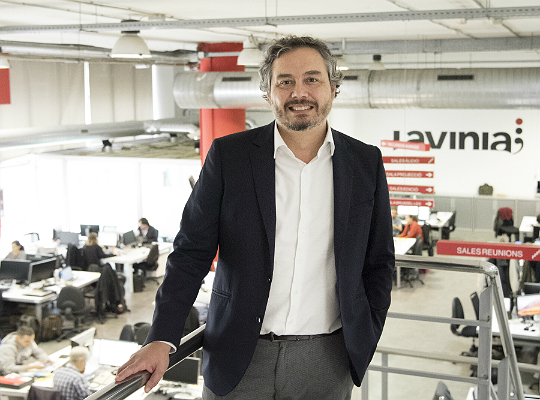 Xavier de Pol, general director of the Audiovisual Services and Technology department at the Lavinia Group, insists that “for us, technology can also be creative. It is a way of interpreting the modern world and so we are looking to reinforce this area in order for it to bear the hallmark of innovation and the talent of a human team whose motto is to make the difficult easy. We need to get there early so that our customers can arrive on time”. Meanwhile, Jordi Castells, director of Vidneo, says that the company “was created to understand and anticipate audiovisual changes, where the term digital means nothing any more because everything is digital, but where the next major revolution is the voice as the new operating system. This is a huge step towards increasingly more immersive and transmedia environments”. 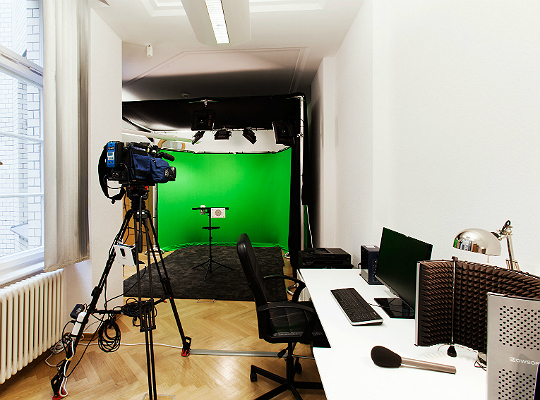 Some of the projects to which Vidneo has already contributed its solutions are related to European institutions, such as the Multimedia Centre at the European Parliament, but it has also developed different OTT platforms and is working with several Spanish and international television channels. Vidneo is also partnering with companies that are not strictly media. More and more sectors need to use audiovisual technologies to get their messages across and need to distribute them worldwide. Vidneo provides solutions and fosters agreements with leading partners in their fields such as Kaltura, Brightcove, LiveU, VISYON and TVU; and is working with innovative start-ups in the audiovisual world such asTviso and Watchity as well as with research centres and universities. Madrid, Barcelona and Brussels are, for the time being, the main focuses of its activity. Barcelona being the capital of the smartphone universe means Vidneo can be linked to the worldwide development of 5G. The creation of Vidneo is a big step forward in the growth of Lavinia as an all-round communication group. Its priority is to put technology at the service of communication rather than communication at the service of technology.